Finally the time to write about my own country arrived! Argentina is one of the most beautiful countries from latin america. An extensive territory that has all types of weathers and geographies: mountains, waterfalls, icebergs, rivers, deserts and vibrant cities. Buenos Aires is the capital and largest city of the country. As in most of metropolis, BA’s neighbourhoods are being invaded by Street Artists. Today I will be sharing with you some shots of cool graffitis I’ve found while visiting my hometown a couple of days ago. Hope you like them! NemO’s is a super talented and mysterious Italian artist. He has a unique style and a special social sensibility that makes him one of my favorites muralists. His work is divided into essential and graphic images, with a social message and made up characters that carry out poetic and surreal actions like characters in who knows which fairy tale. He uses different techniques on his murals, from traditional acrylic and spray to recycled paper stick on the wall replacing the color by the paper’s texture. NemO’s masterpieces are around the world! Below you can find a selection of my preferred murals. For more information about this artist, visit his webpage and find out whoisnemos? Portugal is one of the most beautiful countries I’ve ever been, not only because of its dreamy beaches, but because of the lovely people. Their simplicity, happiness and hospitality completely made me fall in love with the Portuguese. But on top of this, they are urban artists. And I am a big fan of street art. We did a road trip from Faro to Lisbon. 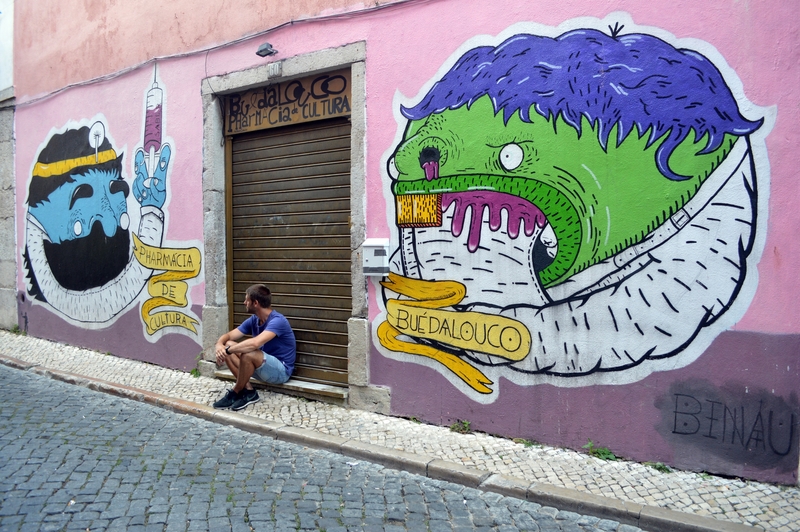 Our purpose: Discover the unknown top Portuguese spots and go after the best graffiti in each town. This is my top 10. Enjoy! 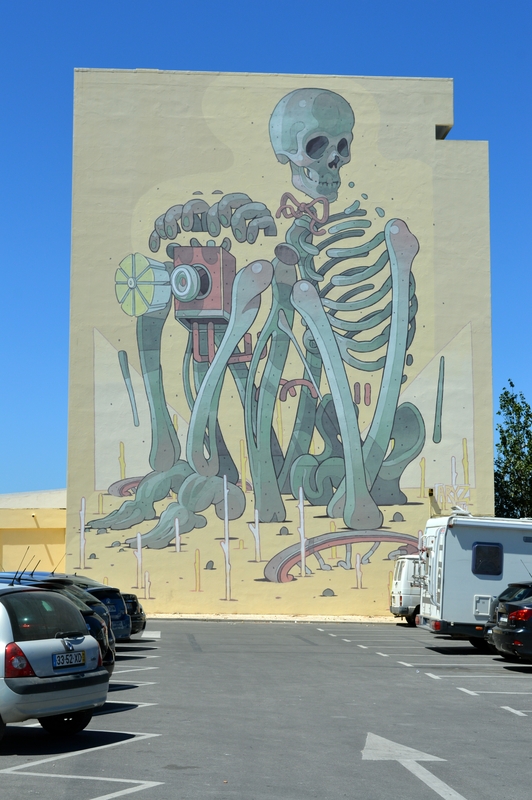 10- The Open air Gallery – Lisbon. It is very easy to get lost when walking near the Castle neighborhood. All of a sudden we were in the middle of a huge open air gallery. 200 meters of graffiti, installations and other media art. 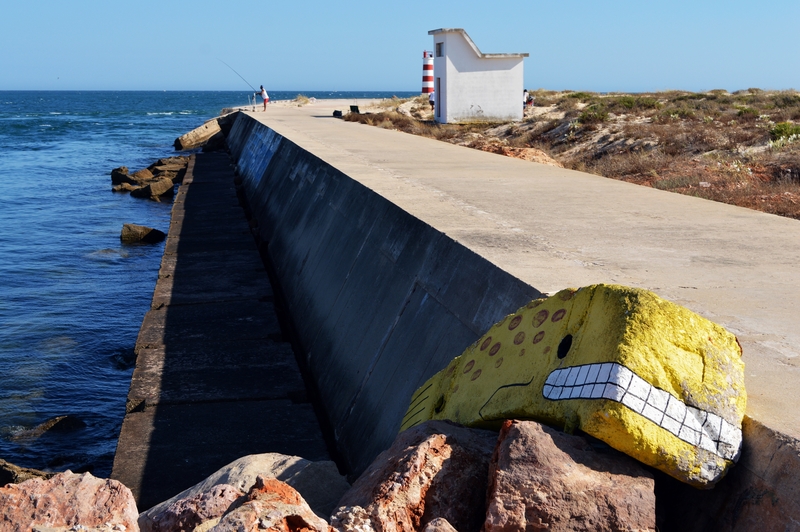 9- The happy Fish – Faro. Even in the Ilha Deserta (Desert Island) we found urban art. 5- The house of Art – Faro. A corner that makes you think and reflect. 4- The Giant Boy – Lagos. Just in front the Art museum, in a very tiny street we discovered this amazing and huge graffiti. You felt like being chased by this “little” boy. 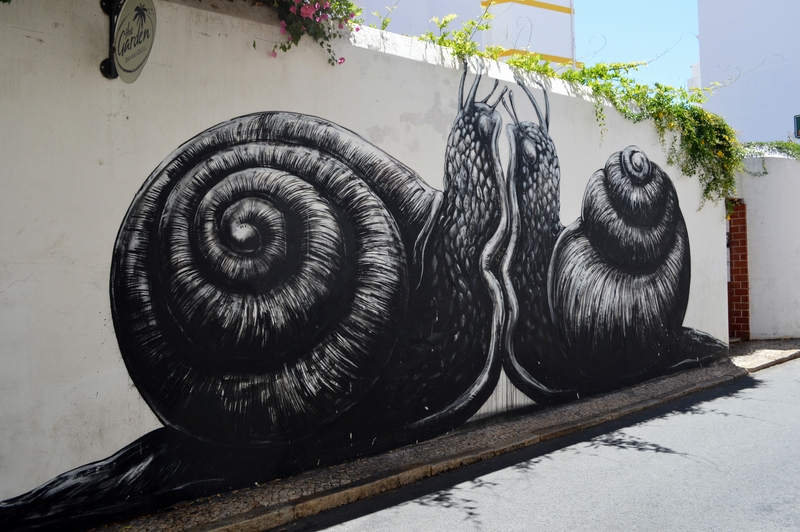 3- History by Cartoons – Lisbon: 30 meters of pure art. Graffiti related to Communism, impersonated by the most famous cartoons.